Lots of hard work again at CFCP last night. It’s amazing to see some of the advances that people are making. Here’s last night’s madness. 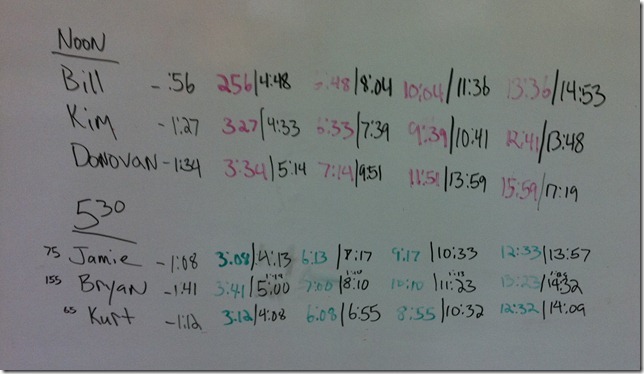 This entry was posted in Uncategorized and tagged Back Squats, Brenna, Dips, Hang Cleans, SuperStrong on October 11, 2011 by bgoldstein. 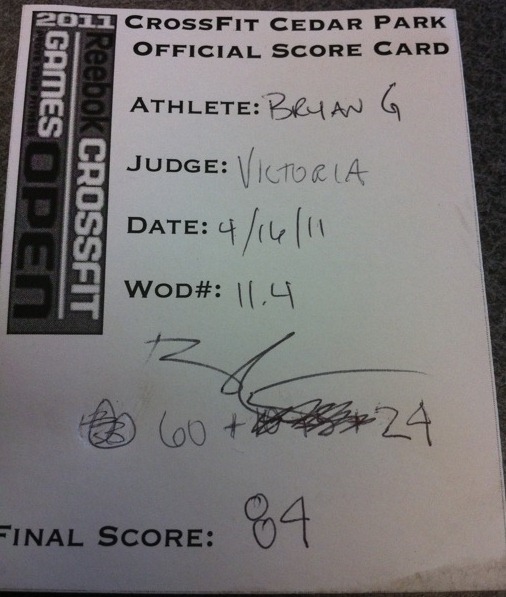 This entry was posted in Uncategorized and tagged Back Squats, PR, SuperStrong on October 6, 2011 by bgoldstein. 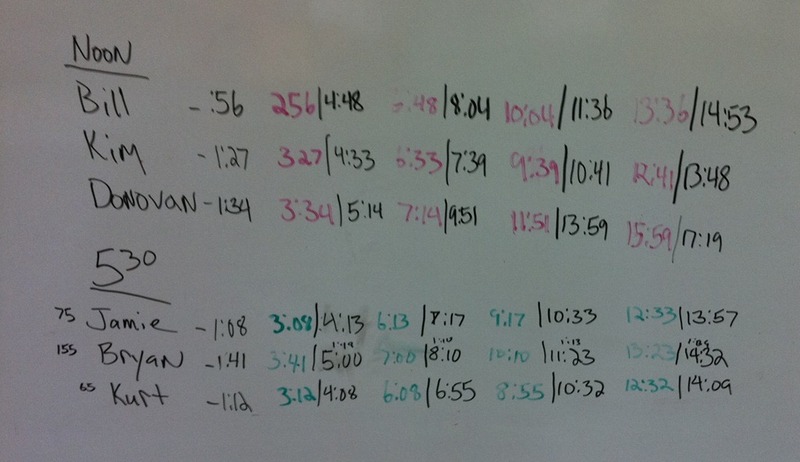 The finals for the CFCP total challenge were today. I have to say that I was really apprehensive about it as I didn’t get 6 full weeks of working out in due to travel. Also, I haven’t really been working these lifts. On top of that, I slept horribly last night. Anyway, I decided that I would just give it my best and do whatever I could do. We started with back squats, my least favorite of the three lifts. 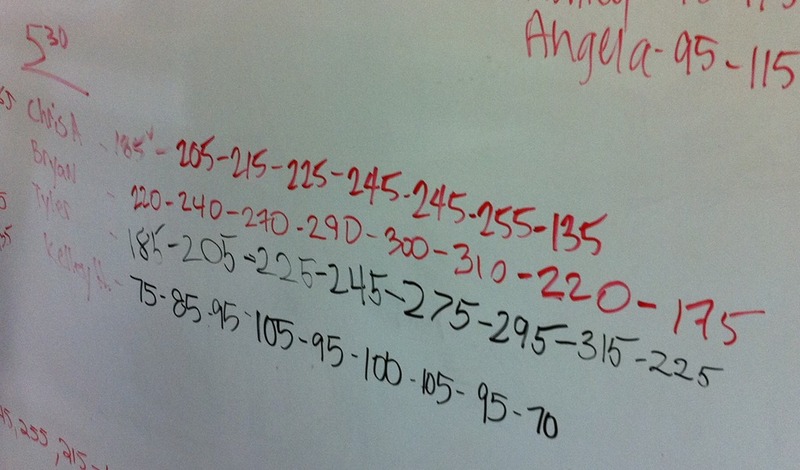 I started with 335# which was where I ended last time. No problem. 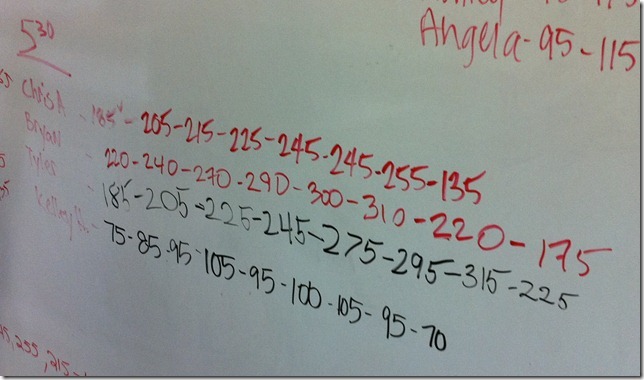 Then, I went up to 345#. Again no problem. For my last set, I was going for 355#. I grabbed the bar, racked it, stepped back, got down, the as I started pushing back up, I heard a very loud POP in my lower back. Josh helped me dump the weight and I immediately laid down. Robin came over pretty quickly and had me do a few stretches, press ups, etc. It didn’t feel horrible, but I was pretty sure I was done for the day. I could probably have done the strict presses, but there’s no way I was dead lifting 445# in that condition. I would have just injured myself further. The worst part of this all is that my mother and grandmother came to watch this. In being a member of this gym and doing this stuff for about a year and a half, I have rarely injured myself. The worst that’s really happened to me thus far has been muscle soreness. Oh well. It’s a sport, after all and sports will have injuries from time to time. I guess we will just need to see how long this one takes to get better. Right now, it’s iced. my friends that went on, finished, and showed incredible progress over the course of the 6 week challenge. You guys rock and inspire me. 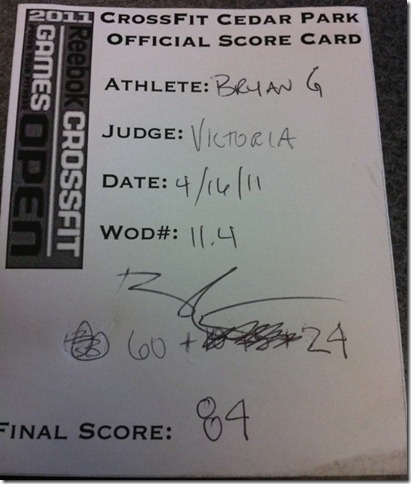 This entry was posted in Uncategorized and tagged Back Squats, Crossfit, Injured, PR, Workout on October 16, 2010 by bgoldstein.